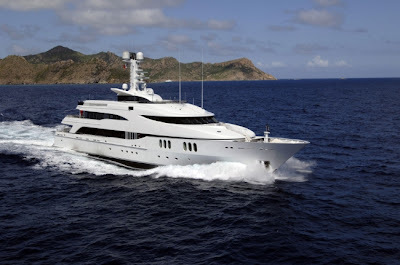 We are offering a great deal for a Thanksgiving Yacht Charter!!! We are pleased to announce that DIAMOND A, 57m Abeking & Rasmussen, will be available in the Caribbean this winter. We are offering a great deal for a Thanksgiving Charter!!! Master suite on main deck comprising of the master cabin, private lounge and additional cabin ideal for children, all ensuite. His and hers facilities with dressing areas and generous wardrobe space. VIP stateroom on bridge deck, equipped with generous en-suite bathroom and dressing room. Staff twin cabin on upperdeck. Four stunning guest staterooms on lowerdeck all generously equipped with waredrobe space and ensuite facilities.